This is a great article by the IDA about documentary budgets. Useful. 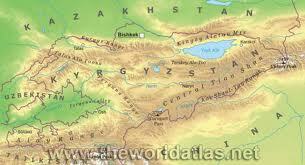 I have been doing research about independent filmmaking in Kyrgyz Republic. I see mention of Kyrgyz films that were included in a “Festival of Muslim Cinema” in Kazan, in Russia. I wonder about the films being shown. I have so many favorite films from Iran and other places, films known to adhere to “Islamic” or “Muslim” values in cinematic art. I wish that we could more easily see these films in the USA. Still gathering data about Kyrgyz Republic and Kyrgyz Cinema.